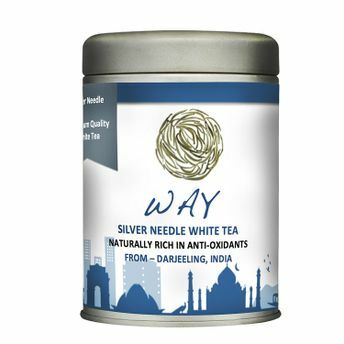 WAY - Silver Needle Exotic White tea is a lightly oxidized tea brought to you directly from the gardens of Darjeeling, India. This tea is picked from the best high grown tea gardens of Darjeeling. The super smooth texture of the liquor is ideal to refresh you with its amazing high quality and unique aroma. White tea comes from the buds and leaves of the Camellia sinensis plant. The leaves and buds are allowed to wither in natural sunlight before they are lightly processed to prevent oxidation or further tea processing. The same tea leaves can be used in preparation of more than one cup. This actually is cost effective not only in the sense of money but it also allows you to extract all the nutrients contained in those tea leaves as well.